A lot of companies today are considering live chat as another customer service option for their clients. Despite the many success stories floating around, there is always a fear to spread oneself too thin. As in social media we are struggling which channel is going to work for our business and where we should direct our efforts, in the same way there is always a doubt, should I pick up on this new live chat trend? Is it going to bring any benefits to my company? The stats however barely leave us any options here. A recent study by Accenture reveals that 56% of US consumers expect more options for obtaining customer service and support, with 30% expecting to receive service via live chat. The businesses who have already adopted live chat, confirm that the consumer expectations as well as their satisfaction with the channel are very high. Meeting consumer expectation for multi-channel service alone becomes a strong reason for adopting live chat. However, many companies who make a decision in favor of adding live chat support to their website are not fully aware of what other benefits they can extract from this tool. There are a few other things you should know about live chat and how it will affect your customer service operations. Live chat agents are able to handle more than one interaction at a time, which makes them more efficient than phone operators. According to a survey by Oracle, chat agents can take anywhere from one to ten chats at a time, depending on the complexity of the service issue. Interactions with complex questions will limit agents to one or two simultaneous chats, while simpler interactions may allow them to take three to four chats at a time. Many additional tools available with live chat allow the service agent to understand the customer’s problem quicker and give a more extended answer to their question. For example, real-time visitor monitoring shows the agent what pages the customer has been browsing through, what page he is currently looking at, the customer’s membership details, all of which gives the operator a grasp of the situation and allows to react instantaneously without having to ask additional questions. Such a feature as co-browser enables the chat operator to see the page the customer is seeing and identify the problem on the spot. File transfer allows to support text answers with pictures, screenshots, which makes it easier for the customers to understand what needs to be done and helps to resolve the problem more quickly and efficiently minimizing the need for a second interaction. Live chat allows to serve more customers with less resources. It requires less human resources due to the ability of the chat agent to serve multiple clients at a time. It also requires less financial resources, because live chat is cheap. Forrester reports that a customer service interaction through the phone typically costs US$33 as compared to US$10 for a chat session, while Gartner found that phone service is typically four times the cost of live chat. Moreover, the software setup requires much less technical resources, especially if you go for a cloud-based service and hand over all the responsibility associated with server support and maintenance to your live chat service provider. Live chat means happier customers, literally. 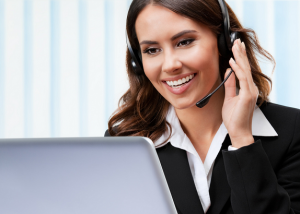 A survey by eDigital revealed that live chat has the highest satisfaction rates of all customer service channels with 73% of consumers stating they are very satisfied with the experience they received over this channel. And it’s no wonder, because the two things that customers value the most in a customer service interaction, the speed and efficiency, live chat is able to deliver perfectly well, better than any other customer service channel. Thanks to the fact that live chat is so easily accessible and customers mostly receive positive experience with it, they are more likely to return to this channel again if they have another question to ask or a problem to solve. The speed and simplicity of live chat encourages customers to use the feature more and more, as opposed to picking up a phone, where a lot of the time they may feel discouraged to make a call because of anticipation of long hold time or the need for a private space to conduct a phone conversation. Due to the less formal nature of chat and the ability to see the chat agent’s picture, customers feel more emotionally engaged with the company and are more likely to remember their experience. Additionally, such a feature as proactive chat, allows the service agents to proactively invite customers to communication and in this way increase customer engagement and build more relationships with prospective clients. While adding live chat to a company website is a popular practice right now, it is not only a matter of being in the trend. As you can see, live chat has many tangible benefits to bring to your company, from cost reduction to improved performance and customer satisfaction. If you have made up your mind to get started with live chat, the next step is to find the right software and/or live chat service provider who are going to meet your needs. There are many different options in this market offering quite a wide range of options. If you are weighing your choices, consider Provide Support live chat support software. We are open to receive your questions, let’s have a chat and see if our software is right for your business. go somewhere else for what they need. Having a live chat available will alleviate that problem. in and it may be very expensive to use. Thank you for your comment, Pam. Live chat is considered to be the one of the most cost saving communication tools as the subscription packages are not expensive and it allows multitasking and assisting several customers at the same time. At Provide Support we have never changed our prices for live chat subscription packages. We constantly update our system and add new features which we do not charge additionally for. You are welcome to try our Live Chat service, free 10-day fully functional trial is available for testing purposes.